NY Times Interview With De-Christianizer of Hebrew Scripture – Zero Equals Two! Indeed, Crowley’s background among the Bible- obsessed Plymouth Brethren may have equipped him with a grasp of the Bible exceeding that of any “Christian” occultist before him. “According to the King James Version, Jonah says that the Mediterranean waters ‘compassed me about, even to the soul’ — or nefesh [SQUEEEE!]. The problem with this ‘soul,’ for Alter, is its Christian connotations of an incorporeal and immortal being, the dualism of the soul apart from the body. Nefesh, to the contrary, suggests the material, mortal parts, the things that make us alive on this earth. The body. This is great. So many Christian misinterpretations of the Bible, *especially* the Old Testament. The original Jews / Hebrews / Israelites / whatever-you-consider-them had no real conception of an afterlife, as is evidenced by the quoted section on the KJV “soul”. 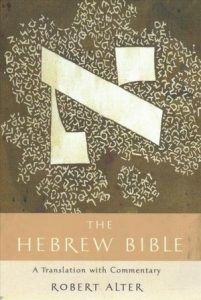 Ideas of an afterlife or eternal soul or such only came after certain segments of the Jewish population intermingled with the Greeks, became Hellenized, and their ideas later filtered their way back into the more mainstream of Judaic thought. “Sheol” is literally “the grave”, “Hell” comes from the Nordic “Hel” + the trash dump outside Old Jerusalem called “Gehenna”, “Tartarus” comes from Greek and could actually be interpreted to mean the surface of the Earth, etc. The deeper you dig, the more you realize how wrong the popular conceptions of Christianity in America actually are.